How Can Billions in Recruiting Tech Still Not Help Recruiting? Yesterday, we looked at a session at the 19th Annual HR Technology Conference and Exposition at the McCormick Place Conference Center in Chicago concerning the future of recruiting technology. Today we’ll see what else Elaine Orler, CEO & cofounder of Talent Function has to say about the future of recruiting technology. 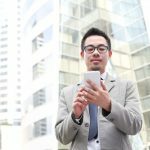 Where Will the Future of Recruiting Technology Take Us? The Recruiting Daily Advisor was recently at the 19th Annual HR Technology Conference and Exposition in Chicago. In a session titled “What’s Trending and Beyond? 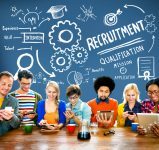 Talent Acquisition Technology for Modern Recruiting,” Elaine Orler, CEO & cofounder of Talent Function talks about what the future might hold.